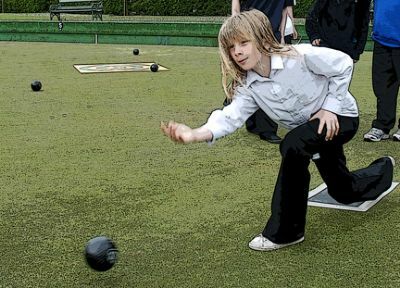 The club have had bowls taster sessions with three of the local primary schools, Southesk, St Margaret's and Lochside over the last couple of weeks to introduce them to the game of bowls. 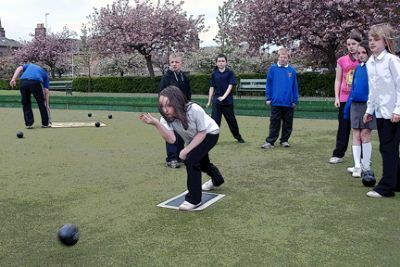 This has been very successful with over one hundred children attending and having a great time playing target bowls. 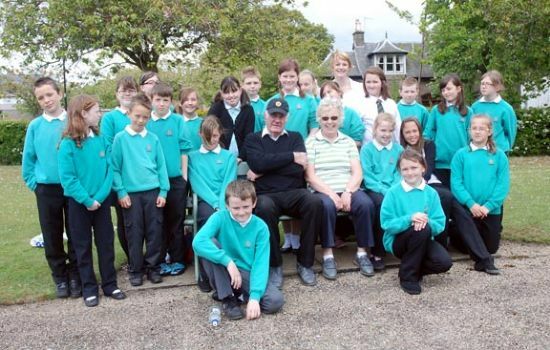 The Junior Section will meet on Wednesdays between 4 and 5pm at the Hope Paton Club.This will begin next Wednesday, 26th of May and will be run by four club members throughout the summer months, who all have received disclosure documents from Angus Council allowing them to work with young children. This has also been well supported by local business with four main sponsors coming forward to help promote the sport in the town for young people. They are Archbold Accountancy, PMR Jewellery, The Links Hotel and The Market Arms. A grant has been obtained from the Lottery Funding and equipment has been purchased to set up Target Bowl events for our new Junior members. Children between the ages of 10 to 16 are more than welcome to join the club, however, they need to fill in a permission form and have it signed by their parent/guardian. For more information come along to the club, or contact us online at the club website.